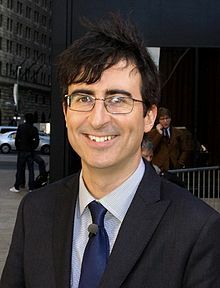 John Oliver started as the stand-in host for Jon Stewart on Comedy Central’s The Daily Show this past Monday. And I thought it was…refreshing. Don’t get me wrong, I think Stewart is brilliant, even when I disagree with him. Not to say nothing of the fact that he’s also hilarious. However, John Oliver has always been my favorite correspondent on the show and I was elated to see he’d be taking over for Stewart while Stewart went to shoot a film about Iran (which I am looking forward to). The only part of the show that Oliver clearly needs to work on and I’m sure he will in the coming episodes, is his interviewing skills. He seemed uneasy and struggling for topics opposite his guest, Seth Rogen. ← Tim Duncan: Is he the greatest post-Jordan/pre-LeBron player in the NBA?